This copper stag head would make a quirky wall decor addition to any bedroom, living room, hallway or kitchen. Perfect for lovers of copper or rose gold decor. This copper stag head is a statement piece of wall art for industrial, vintage, retro or contemporary homes. 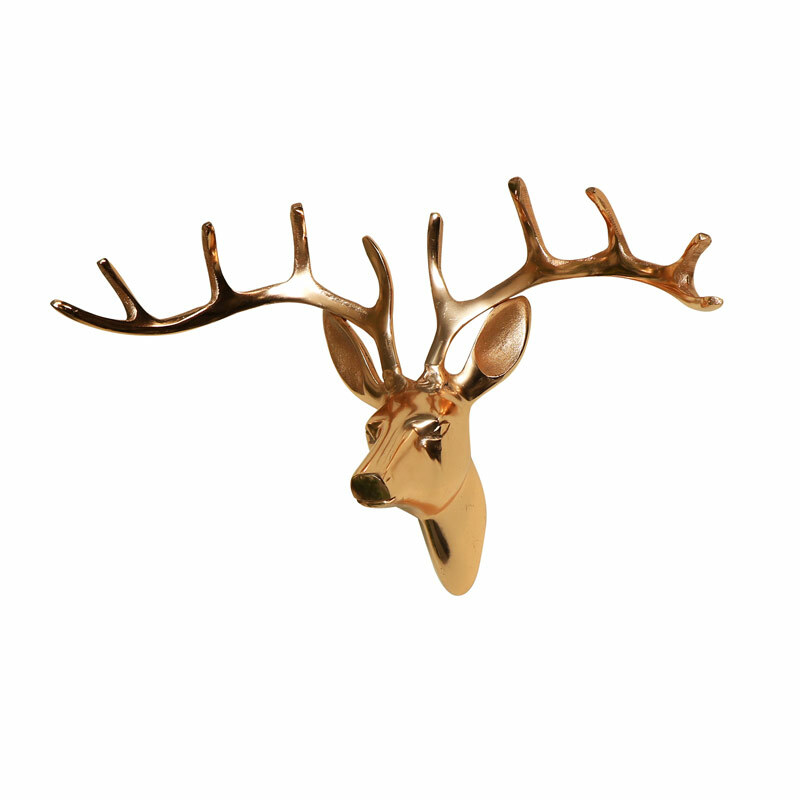 With even more stag & deer heads to choose from in an assortment of sizes & colours. All of our animal heads will add a chic statement and are of course animal friendly and taxidermy free. Our stag heads are perfect for adding that finishing touch to your decor and with so many colours available, you can match with your chosen colour scheme. This copper stag head would make a quirky wall decor addition to any bedroom, living room, hallway or kitchen. Perfect for lovers of copper or rose gold decor. This copper stag head is a statement piece of wall art for industrial, vintage, retro or contemporary homes. 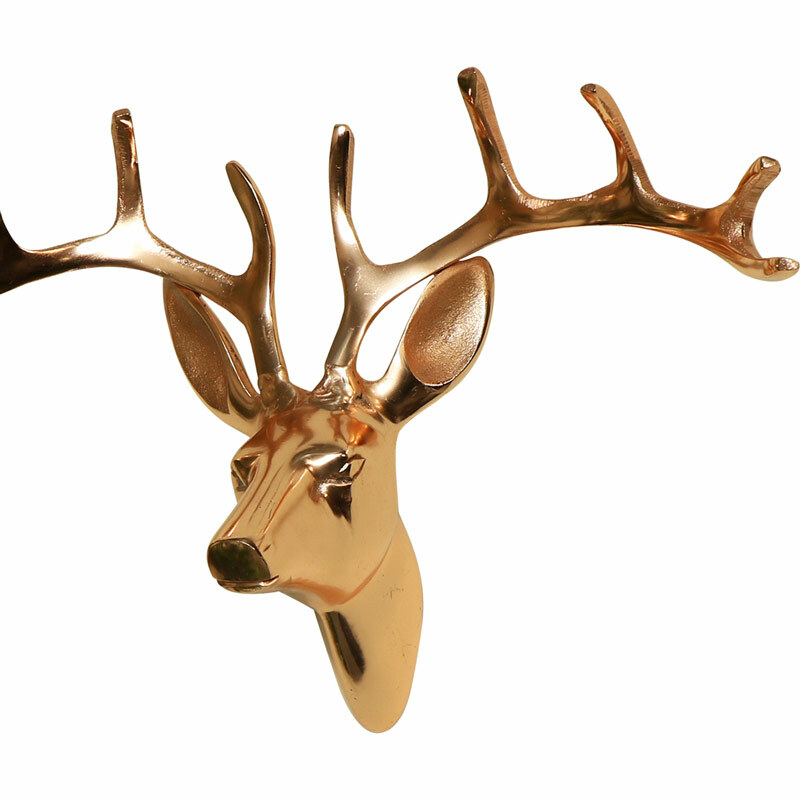 With even more stag & deer heads to choose from in an assortment of sizes & colours. All of our animal heads will add a chic statement and are of course animal friendly and taxidermy free. Our stag heads are perfect for adding that finishing touch to your decor and with so many colours available, you can match with your chosen colour scheme.